Retired Master Sgt. Dan Holmes is a man in perpetual motion. 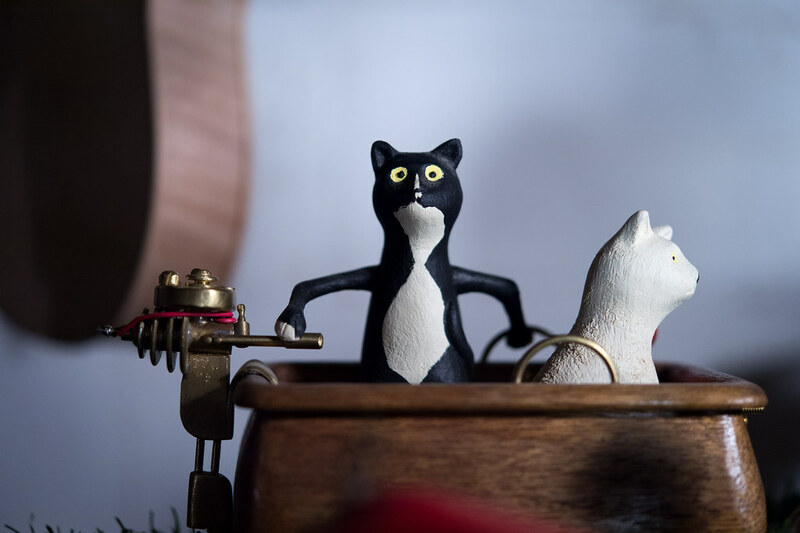 When his hands are not actively building or repairing something, the gears in his head are churning – formulating a workaround or a new piece of art. It has been decades since he has had clean fingernails or a decent night’s sleep. Retired U.S. Air Force Master Sgt. 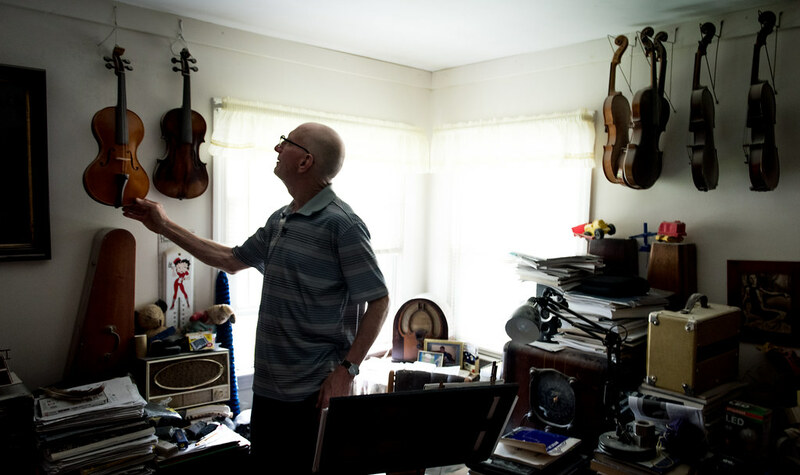 Daniel Holmes picks up one of his handmade violins at his home in Lowell, Mass., Jun. 1, 2018. Holmes teaches Airmen various electronic and mechanical skills in order for them to maintain technology used at the Sagamore Hill Solar Observatory of the 2nd Weather Squadron, Det. 2, in Hamilton, Mass. U.S. Air Force Photo // J.M. Eddins Jr. 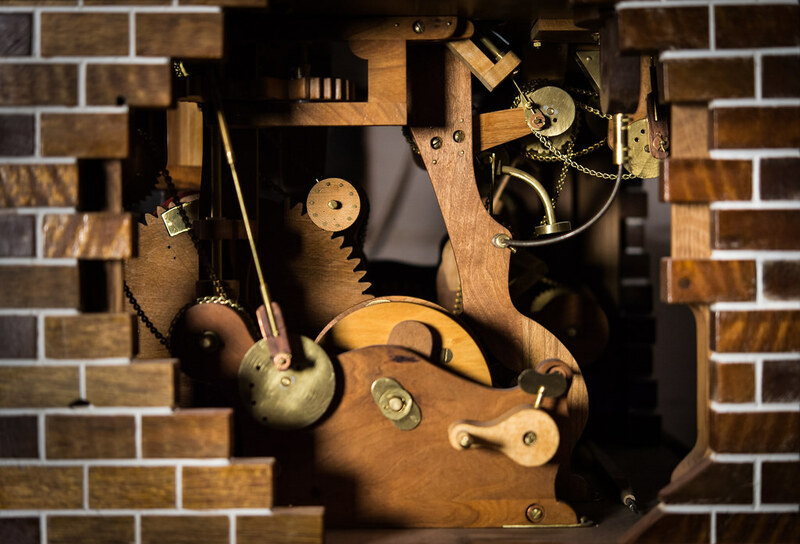 The perpetually kinetic Holmes is surrounded at home and his office by his handmade creations – violins, guitar amplifiers, radios and electric and manually cranked kinetic sculptures in all shapes and sizes. 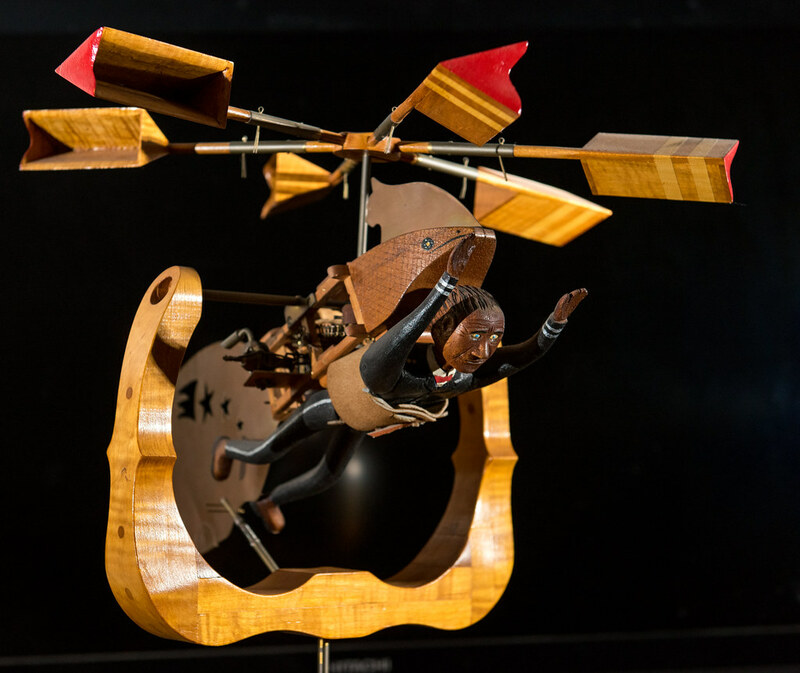 There’s a rocket ship, a man flying with mechanical wings strapped to his back, John Wayne riding a horse and numerous art-deco style electromechanical machines. 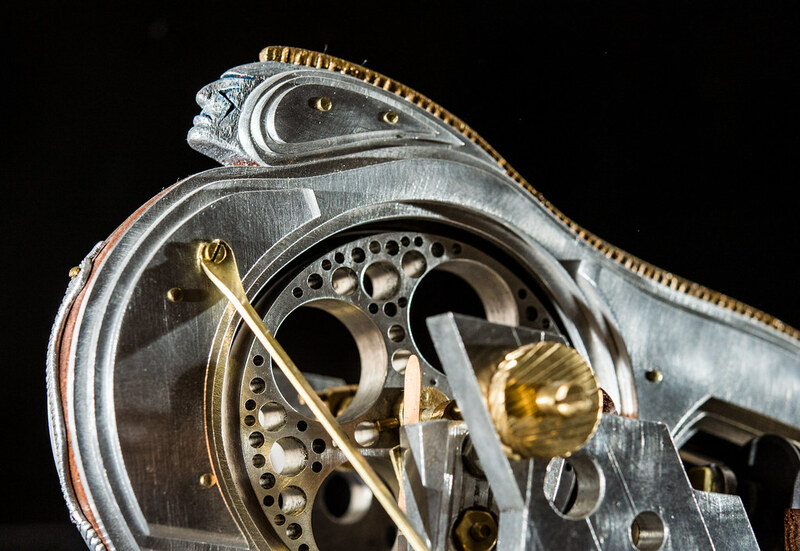 Some of those machines are adorned with the likeness of a Native American chief, Masconomet, of the Agawam tribe, who is buried just yards from his office door. 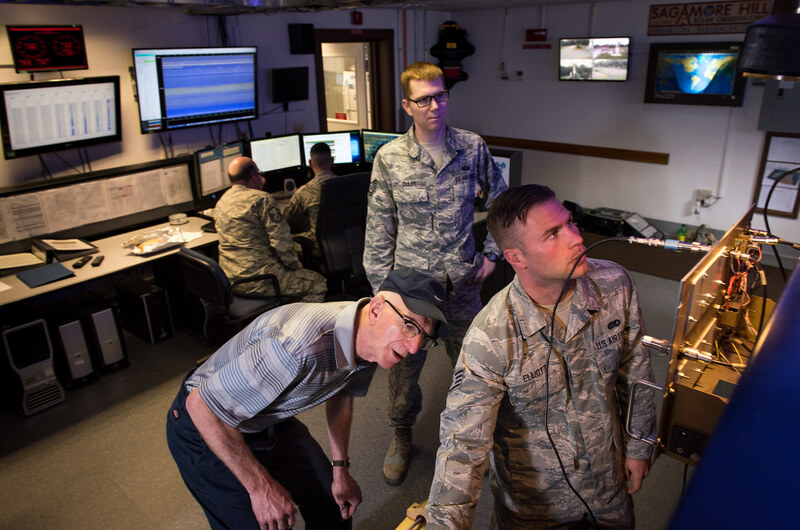 It is with these creations that Holmes accomplishes some of his most prized work, teaching digital-age Airmen how to operate and maintain the older equipment used to perform one of the Air Force’s perpetual missions – monitoring the sun for electromagnetic surges. Retired U.S. Air Force Master Sgt. Daniel Holmes photographed at his home in Lowell, Mass. holding one of his handmade kinetic sculptures, Jun. 1, 2018. 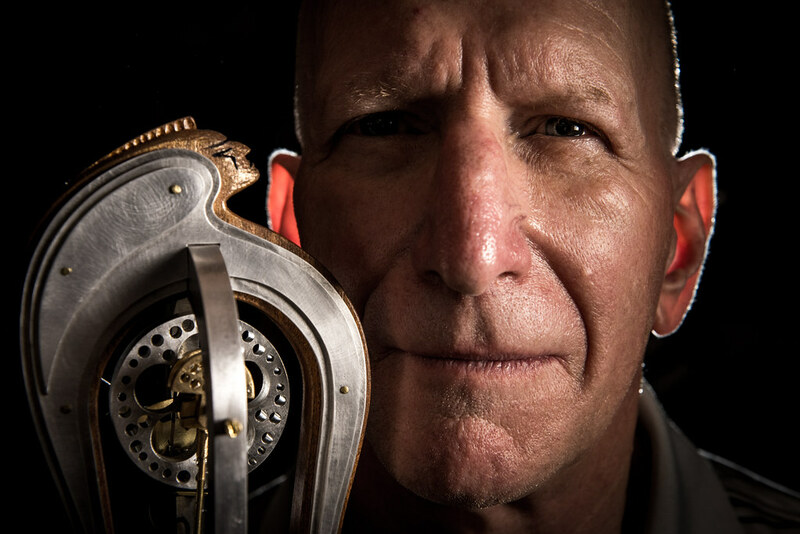 Holmes teaches Airmen various electronic and mechanical skills, often utilizing kinetic sculptures he builds by hand. The concepts enable Airmen to maintain equipment at the Sagamore Hill Solar Observatory of the 2nd Weather Squadron, Det. 2, in Hamilton, Mass. The Radio Solar Telescope Network is a network of solar observatories maintained and operated by the 557th Weather Wing, which provide solar observations around the clock. The RSTN consists of ground-based observatories in Massachusetts, Hawaii, Australia and Italy, which come online in sequence as the Earth rotates to provide 24/7 observations of solar activity. Holmes and a team of Airmen maintainers and solar analysts with the 2nd Weather Squadron, Detachment 2, man the Sagamore Hill Solar Observatory, near Hamilton, Massachusetts. Nestled among farms, villages and a Native American burial ground, the Airmen on duty there are more likely to see a deer, fox, turkey or coyote than to see another human being – leaving them to focus on their critical mission. If the solar analysts at Sagamore Hill determine a radio signal signifies a coronal shock wave or coronal mass ejection associated with a solar flare, they alert 2nd Weather Squadron’s Space Weather Operations Center, which, in turn, notifies military and civilian personnel performing space, weather, power and communications missions around the globe. Master Sgt. Timothy Yablonsky, left, a space weather forecaster and detachment chief, and Senior Airman Zachary Lopez monitor radio signals emanating from the sun at the Sagamore Hill Solar Observatory of the 2nd Weather Squadron, Det. 2, in Hamilton, Mass., Jun. 1, 2018. The 2nd WS, headquartered at Offutt Air Force Base, Neb., operates four solar observatories around the globe which enable constant monitoring of the sun for solar phenomenon which may interfere with electronic equipment. The eight individual radios of the AN/FRR-95 Radio Interference Measuring Set at Sagamore Hill utilize three antenna dishes to monitor specific frequencies. The radios incorporate electronics that range from transistors to integrated circuits. The second system is the A/F 24U-10 Solar Radio Spectrograph (SRS). It uses two antennas, one that looks like the spokes of a wheel and another that looks like a Christmas tree. Retired U.S. Air Force Master Sgt. Daniel Holmes, right, and Tech. Sgt. 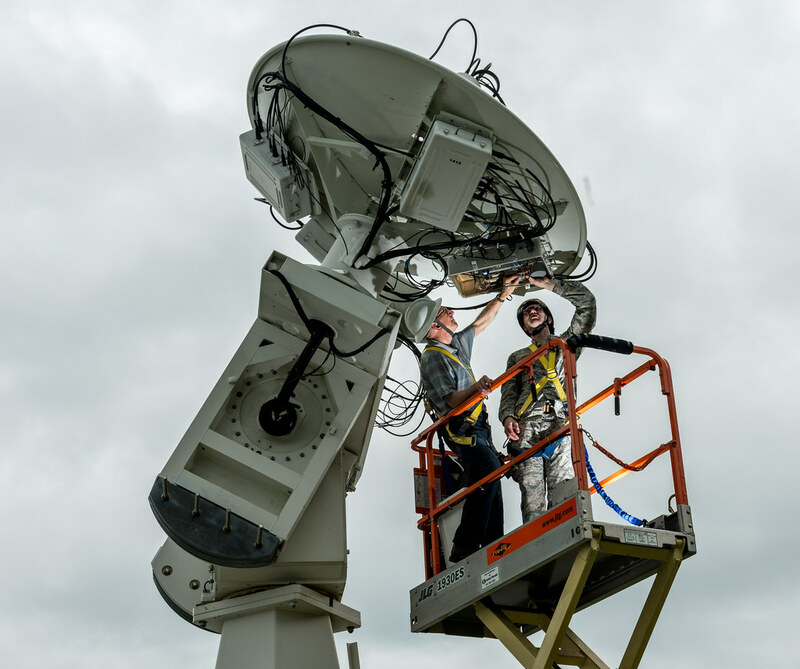 Kyle Duley, perform maintenance on a radio telescope dish at the Sagamore Hill Solar Observatory of the 2nd Weather Squadron, Det. 2, in Hamilton, Mass., Jun. 1, 2018. Holmes’ career experience makes him the expert on maintaining RSTN sites. The 23-year active duty veteran began his career as an aircraft maintainer. After enlisting in 1973, he spent the mid-70’s moving from New Mexico to Thailand, Diego Garcia and Korea, maintaining U-2 Dragon Ladies, C-130 Hercules and CH-53 Super Stallion helicopters, before ending up at Beale Air Force Base in 1976 working on SR-71 Blackbirds. He cross-trained out of aircraft maintenance and into weather maintenance at Chanute AFB, Illinois, in 1978. Then, at Cannon AFB, New Mexico, a piece of paper started him on a path to become an instructor. “Shortly into that tour, a chief approach me with a daily bulletin – this is before computers and e-mail – saying that he thought I would make a pretty good instructor at the weather maintenance school back at Chanute,” Holmes said. So, Holmes returned to Chanute AFB as a weather maintenance instructor, where he taught electronic set principles to the component level and how to change ball bearings, drive belts and everything in between. Retired U.S. Air Force Master Sgt. 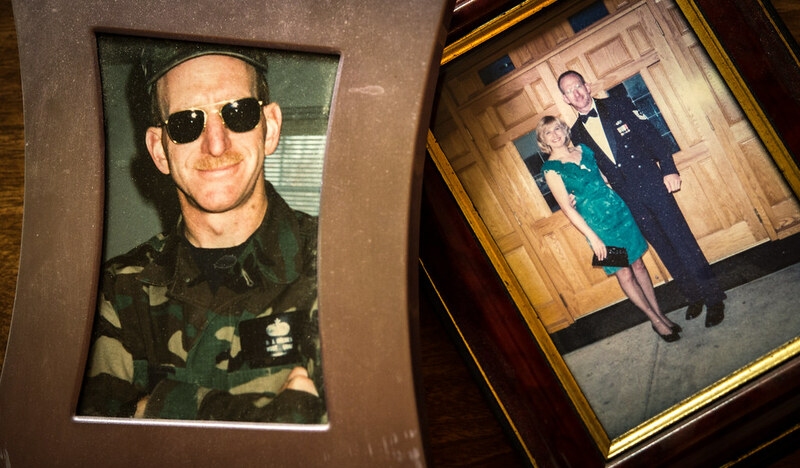 Daniel Holmes, shown during his active duty days in photos at his home in Lowell, Mass., Jun. 1, 2018. Holmes made his first trip to Sagamore Hill in 1986 during a temporary duty assignment to repair old tube and hybrid transistor amplifiers in some converted camping trailers. When Strategic Air Command was dissolved in 1992, Holmes left Omaha, Nebraska, and finally made his way back, becoming the maintenance superintendent at Sagamore Hill. 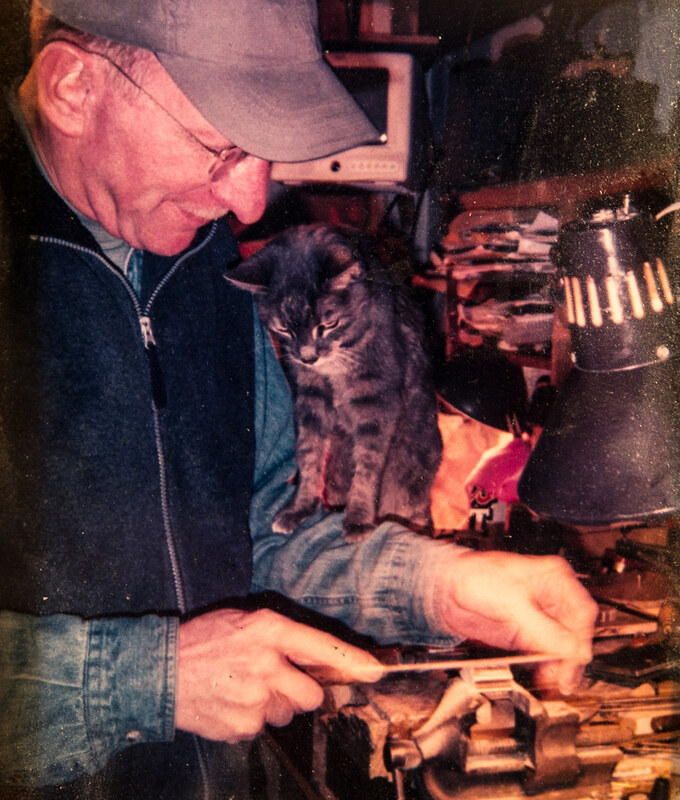 He retired from active duty five years later when he was accepted at the North Bennet Street School in the Old North End in Boston to study violin making. After making and repairing violins at the Reuning and Son Violin shop in Boston, he was asked by a contractor in 2002 if he would like to be trained in maintaining the old Hewlett-Packard 1000 computing system used by all of the optical and radio observatories. Shortly after, he returned to Sagamore Hill when the Air Force hired him back to teach Airmen the maintenance skills they would need when deploying to all RSTN detachments. Retired U.S. Air Force Master Sgt. Daniel Holmes, center, tests radio equipment with Staff Sgt. Jake Elliott Radio Interference Telescope technician, right, and Tech. Sgt. Kyle Duley, maintenance NCIOC at the Sagamore Hill Solar Observatory of the 2nd Weather Squadron, Det. 2, in Hamilton, Mass., Jun. 1, 2018. Holmes had to devise a two-week course for incoming technicians at Sagamore Hill and Airmen deploying to the other detachments, without working on the actual weapons system. Because the mission is constant, components cannot be taken offline and disassembled for educational purposes and there are no mockups of the equipment available. 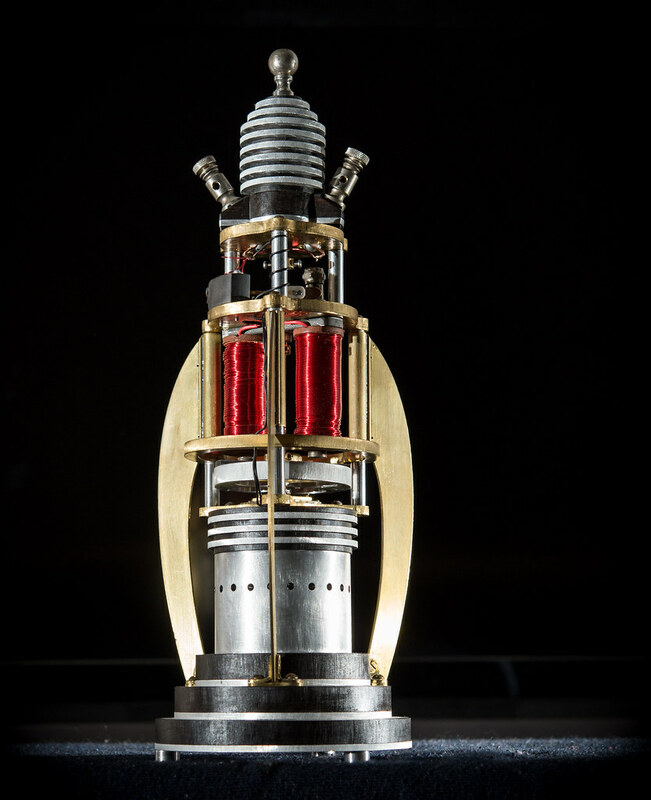 Holmes then uses the electromechanical art engines to help students visualize magnetic switches and solenoids, which are used in the radio telescope’s mode and calibrating switches. Two antique 1940’s tubes radios show how one receiver can cause the other to screech and whistle. A phenomenon, if it occurred in the observatory radios, would inflate critical measurements. Retired U.S. Air Force Master Sgt. Daniel Holmes, teaches Staff Sgt. Jake Elliott metal etching by having him make his own challenge coin from scrap metal at the Sagamore Hill Solar Observatory of the 2nd Weather Squadron, Det. 2, in Hamilton, Mass., June 1, 2018. 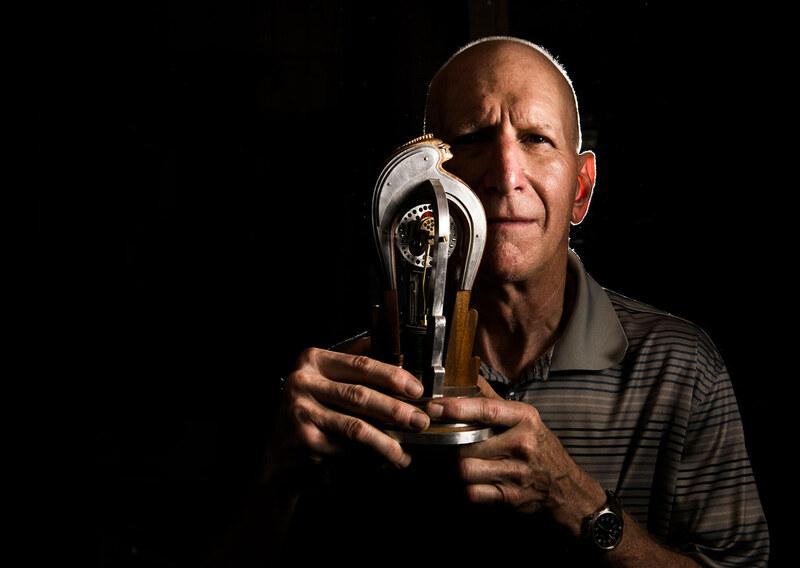 Holmes uses radios and mechanical and electronic folk art he creates to teach electronic and mechanical concepts to Airmen who must use and maintain radio observatory equipment and antennas. The 2nd WS mission is to monitor the sun for solar phenomenon, which may interfere with electronic equipment. Staff Sgt. Jake Elliott, an RSTN technician at Sagamore Hill, has been on site for a little over a year. At his previous post, Elliott was maintaining airfield systems, such as the control tower radios and the Instrument Landing System at Aviano Air Base, Italy. The fact that those systems also operate on radio waves is about the only similarity with the weapons system at Sagamore Hill. Holmes has occasionally had to extend the course for Airmen and have them apprentice with him until they can get the necessary concepts down. Retired U.S. Air Force Master Sgt. 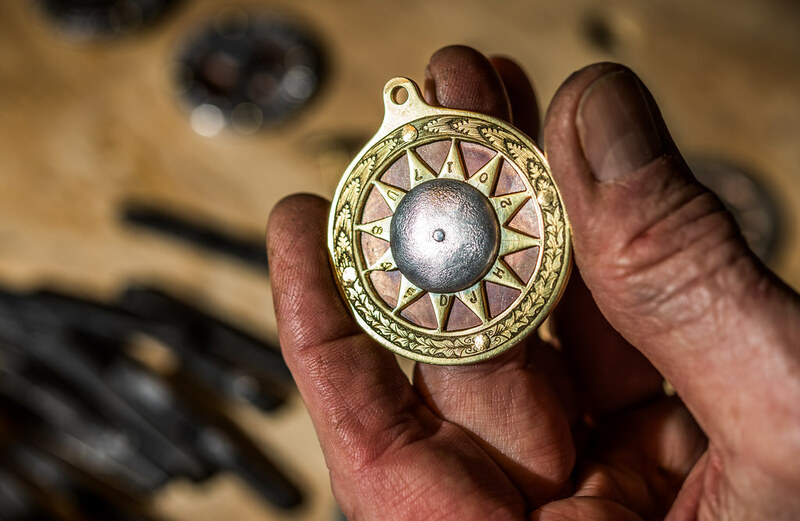 Daniel Holmes teaches metal etching by having Airmen make a unit challenge coin from scrap metal at the Sagamore Hill Solar Observatory of the 2nd Weather Squadron, Det. 2, in Hamilton, Mass., Jun. 1, 2018. 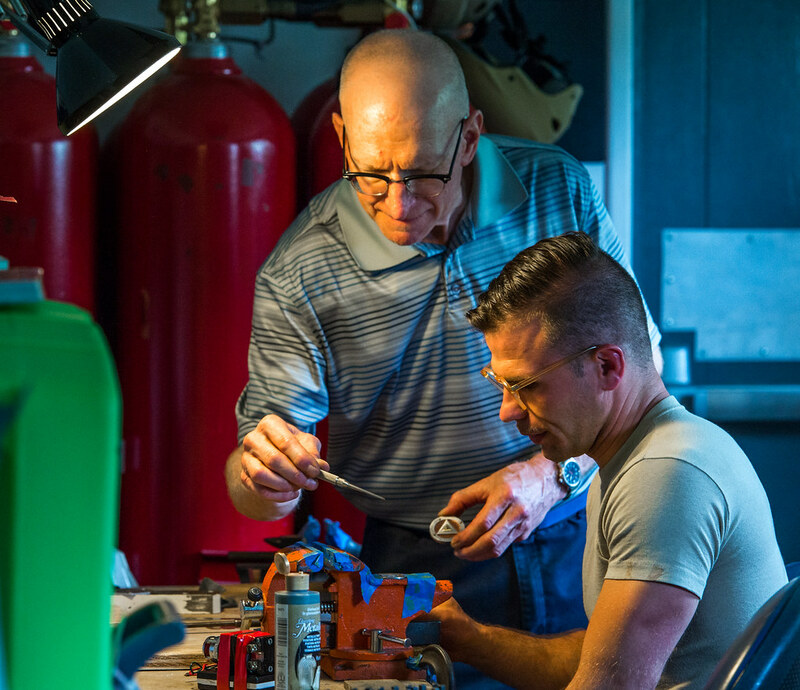 Holmes uses his sculptures to teach Airmen various electronic and mechanical skills in order for them to maintain equipment used at the Sagamore Hill Solar Observatory of the 2nd Weather Squadron, Det. 2, in Hamilton, Mass. To further their capabilities, Holmes also pushes the Airmen to pursue personal projects during slow days. 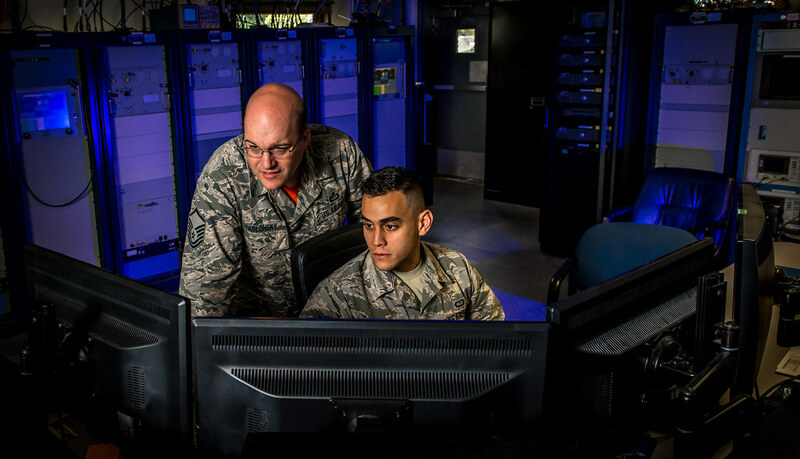 The projects incorporate skills useful in maintaining the observatory and give the Airmen a skill to pursue in their personal lives along with the confidence of knowing they can work their way through a problem on their own. 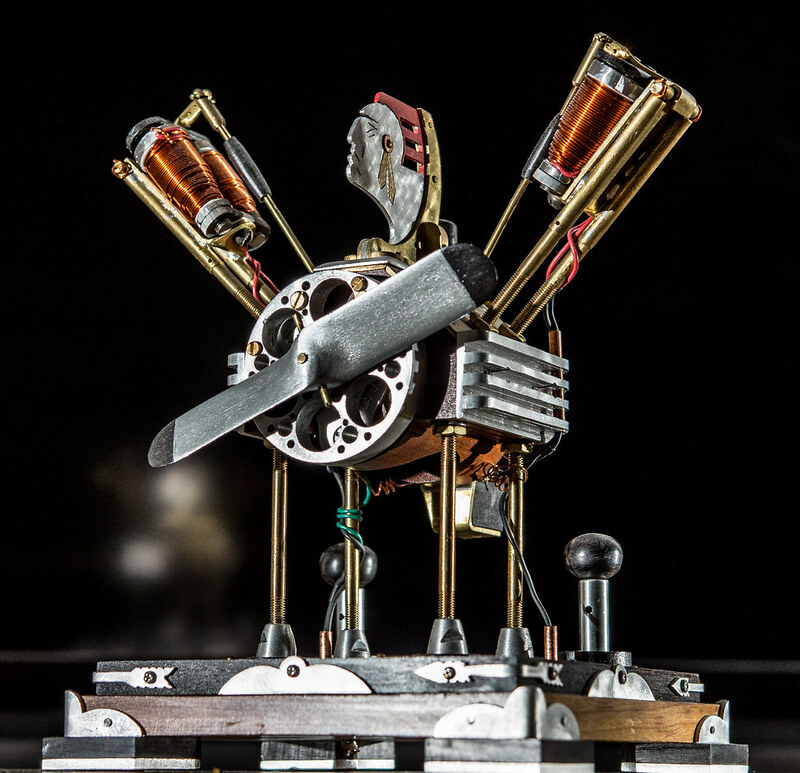 Mechanical and electric kinetic sculptures created by retired U.S. Air Force Master Sgt. Daniel Holmes are used to teach Airmen various skills used in maintaining equipment at the Sagamore Hill Solar Observatory of the 2nd Weather Squadron, Det. 2, in Hamilton, Mass. The face that adorns some of the sculptures represents Masconomet, chief of the Agawam tribe, who is buried next to the observatory. Sharing the skills he learned as a violin maker, Holmes is teaching Tech. Sgt. Kyle Duley, the maintenance noncommissioned officer in charge, how to build wood furniture using no nails and only hand tools. He is encouraging self-described “sneaker-head” Staff Sgt. Dustin Williams to design and build his own shoes and is about to begin teaching newly arrived solar analyst Senior Airman Zachary Lopez how to play the violin. He is even leaning on Yablonsky to take a book binding class at the North Bennet Street School. Yet, Holmes’ face really lights up when he talks about the progress Elliott has made. “He’s really turned the corner in his relationship to me, the site and the Air Force. He just reenlisted – I couldn’t be prouder. I consider it pay back to the Air Force for a great career,” Holmes said. 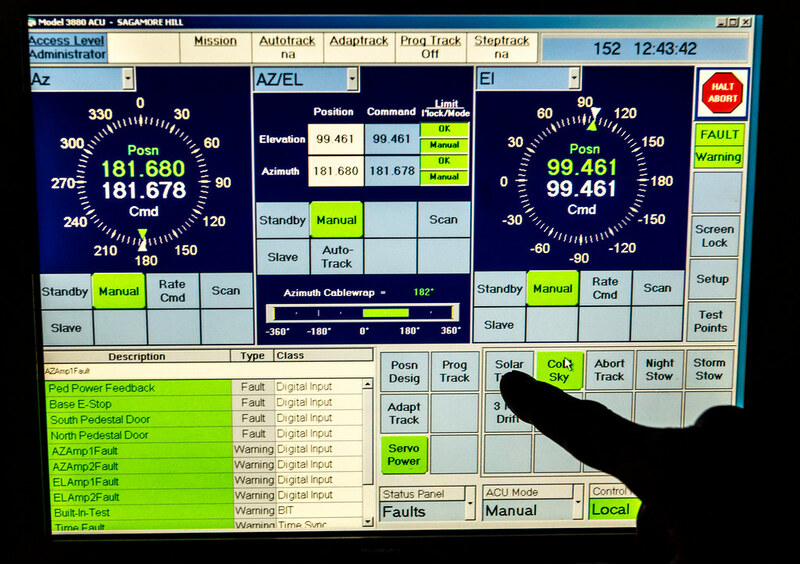  Archived in Operational, People, Training, Veterans and tagged Air Force, air force technology, airman, airman magazine, electronics, leadership, observatory, satellite, solar, space, space weather, sun, training, weather. Bookmark the permalink.